We kick off with 2019 by announcing that Oxford researchers now have access to the following two ejournals in SOLO. Enjoy! This journals is relevant to those interested in History and memory; digital public history; archiving; libraries; exhibiting; curation; preservation; heritage; communication and media; policy; private and commercial sectors. Medieval Worlds (ISSN: 2412-3196) is an Open Access double‐blind peer reviewed journal covering interdisciplinary and transcultural studies of the Middle Ages. It is published semi-annually the Austrian Academy of Science (Österreichische Akademie der Wissenschaften (ÖAW)) and is licensed under the Creative‐Commons‐Attribution NonCommercial‐NoDerivs 4.0 Unported (CC BY‐NC‐ND 4.0). The journal “encourages and links comparative research between different regions and fields and promotes methodological innovation in transdisciplinary studies. Focusing on the Middle Ages (c. 400 ‐ 1500 CE, but can be extended whenever thematically fruitful or appropriate) medieval worlds takes a global approach to studying history in a comparative setting. Building upon studies of transcultural relations and processes of cultural hybridization between cultures, both of which have seen dynamic developments in recent years, the main approach chosen by medieval worlds is comparative. Taking such a comparative approach will not only allow researchers to highlight the global interaction within, or hybrid nature of particular cultural spheres, but also shed new light on more specific fields of interest. Moreover, medieval worlds will encourage a critical debate between the disciplines concerning approaches and methods, and thus will help to enrich the methodological frameworks of comparative history.” From http://www.medievalworlds.net/medieval_worlds, accessed 13 Sept 2016. This journal will be soon added to SOLO and OU eJournals. Busy Oxford historians and theologians working on Christian church history will be pleased to know that Studies in Church History (ISSN 0424-2084) is now available online from volume 46 (2010) via SOLO (very shortly) and OU eJournals. For older volumes, please search SOLO to find the printed copies. 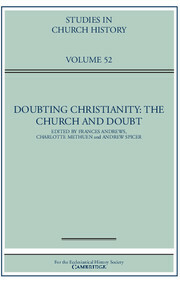 With v. 52 (2016) Cambridge University Press has taken over the publication of this annually published series which include selected themed papers and communications of the Ecclesiastical History Society‘s conferences. If you want to keep up with this series, just set up a Content Alert with Cambridge Journals. I am pleased to report that Oxford users now also have access to the entire backfiles of Parliaments, Estates and Representation, meaning you have complete access from vol. 1 (1981) to the current issue via SOLO and OU eJournals and don’t need to order up issues from the Book Storage Facility in Swindon. 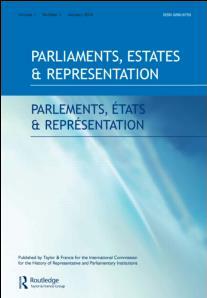 Published twice a year, Parliaments, Estates and Representation “is the journal of the International Commission for the History of Representative and Parliamentary Institutions (ICHRPI) – Commission internationale pour l’histoire des Assemblees d’Etats (CIHAE). The aims of the journal, as of the Commission, are to promote research into the origin, growth and development of representative and parliamentary institutions throughout the world in all periods. In particular, it encourages the study of the development of representative institutions in a wide and comparative way. 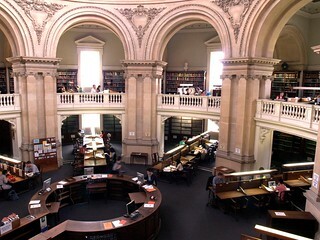 It facilitates the international exchange of bibliographical information. It is concerned with the political theory and institutional practice of representation as well as with the internal organization, political culture and the social and political background to parliaments and assemblies of estates. Representative urban institutions and international parliamentary organizations also fall within its remit. The journal publishes scholarly articles covering the whole spectrum of the history of representative institutions up to the present day. The journal welcomes all contributions which fall within its field of interest, including papers presented at conferences of the ICHRPI. 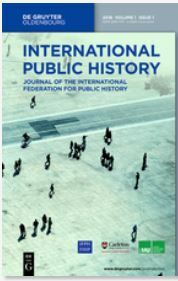 Articles may be submitted in English, French or German.” http://www.history.ac.uk/history-online/journal/parliaments-estates-and-representation, accessed 18 July 2016. To keep up with the journal’s publications, you can set up a New Content alert or RSS feed. 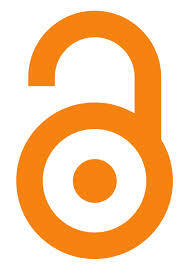 More news on History journals and eHistory ejournals. The new Journal for the History of Environment and Society, 1, 2016- (ISSN 2506-6730) is now listed on SOLO and OU eJournals but is of course freely available at http://www.brepolsonline.net/loi/jhes. This is a double-blind peer-review Open Access journal, distributed by Brepols. It “aims to be a leading on-line and open-access magazine that covers various aspects of environmental history in the broadest sense of the word. Emphasis is upon studies which focus on the historical relations between environmental changes and the social-historical context. Interregional and international comparative articles are getting special attention. See http://jheswebsite.com/mission.html for more details. You can set up Table of Content (ToC) alerts and RSS feeds provided by Brepols. Stressed medievalists now don’t have to come to the library to research late medieval and early Renaissance Burgundy history. I am delighted to announce that our readers have electronic access to the Publications du Centre Européen d’Etudes Bourguignonnes [ISSN 1016-4286] covering v. 2 (1960) – current. It will be added to SOLO shortly, but you can already access it via OU eJournals. You can set up Table of Content alerts and RSS feeds for this. Oxford medievalists now have electronic access to the backfile issues of another key medieval journal, Mediaeval Studies (Pontifical Institute of Mediaeval Studies, ISSN 0076-5872). The backfiles include vol. 1 (1939) upto and including vol. 68 (2006). There doesn’t appear to be any option to subscribe to current or post-2006 content electronically. Details of the printed post-2006 issues can be found in SOLO. Mediaeval Studies is published annually and covers research in the Middle Ages very widely, largely published in English and French. > Read more about this journal. 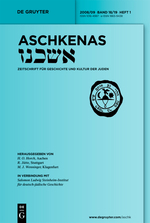 We start the new month with the news that Aschkenas: Zeitschrift für Geschichte und Kultur der Juden [ISSN 1016-4987], an important German journal on Jewish history and culture, is now available electronically from vol. 5 (1995) via SOLO and OU eJournals. “Aschkenas concentrates on the history and culture of the Ashkenazic Jews (those living in Central and Western Europe as well as North Italy), from the time when Ashkenazic Jewish culture was gradually forming in late Antiquity and the early Middle Ages up to the emancipation of the Jews in the 19th century. It also includes articles dealing with issues outside this period of time and geographical area. Aschkenas publishes essays, source editions, literature and research reports as well as reviews of current new publications.” De Gruyter website, http://www.degruyter.com/view/j/asch, accessed 3 May 2016. You can set up electronic Table of Content (eToC) and New Article alerts. The articles are indexed in a number of online subscription databases, including Historical Abstracts and the MLA Bibliography. … more news on history ejournals. Oxford historians now have access to a new journal and to the backfiles of a number of other important academic journals. Medievalists and English local historians are benefitting most this time. Enjoy! 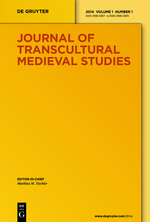 “The new Journal of Transcultural Medieval Studies will provide a forum for scholarship of pre-modern times. It publishes comparative studies, which systematically reflect the entanglement and the interconnection of European, African, Asian and American cultures. The Journal will pursue an interdisciplinary approach. It also intends to foster methodological reflections on transculturality in the broad sense. 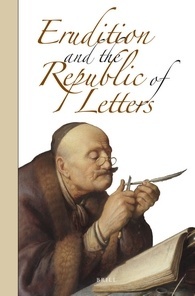 Erudition and the Republic of Letters is a peer-reviewed journal devoted primarily to the history of scholarship, intellectual history, and to the respublica literaria broadly conceived. It encapsulates multifarious aspects of higher learning as well as the manner in which such knowledge transcends confessional and geopolitical boundaries. Access is via SOLO and OU eJournals. World Philology, ed. Sheldon Pollock, Benjamin A. Elman, and Ku-ming Kevin Chang. xii + 452 pp. (Cambridge, MA: Harvard University Press, 2015). ISBN: 9780674052864. 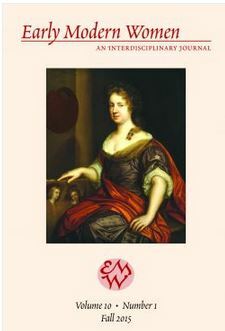 Katherine Harloe, Winckelmann and the Invention of Antiquity. History and Aesthetics in the Age of Altertumswissenschaft (Oxford: Oxford University Press, 2013), 304 pp. ISBN: 978-0-19-969584-3.